Sitzia T, Campagnaro T, Dainese M, Cassol M, Cortivo MD, Gatti E, Padovan F, Sommacal M, Nascimbene J (2017). Contrasting multi-taxa diversity patterns between abandoned and non-intensively managed forests in the southern Dolomites. iForest 10: 845-850. The abandonment of silvicultural activities can lead to changes in species richness and composition of biological communities, when compared to those found in managed forests. The aim of this study was to compare the multi-taxonomical diversity of two mature silver fir-beech-spruce forests in the southern Dolomites (Italy), corresponding to the European Union habitat type 9130. The two sites share similar ecological and structural characteristics, but differ in their recent management histories. In the last 50 years, one site underwent non-intensive management, while the other was left unmanaged and was included in a forest reserve. The species richness and composition of eight taxa were surveyed in the two sites between 2009 and 2011. The difference in mean species richness between the two forest management types was tested through permutation tests, while differences in species composition were tested by principal coordinates analysis and the permutational multivariate analysis of variance. Mean species richness of soil macrofungi, deadwood lichens, bark beetles, and longhorn beetles were significantly higher in the abandoned than in the non-intensively managed forests. Deadwood fungi and epiphytic lichens did not differ in mean species richness between the two study sites, while mean species richness of ground beetles and birds were higher in the non-intensively managed than in the abandoned forest. Significant differences in species composition between the two sites were found for all the taxa, except for longhorn beetles. These results indicate that improving forest landscape heterogeneity through the creation of a mosaic of abandoned and extensively managed forests should better fulfill the requirements of ecologically different taxa. Variety of woody debris as the factor influencing wood-inhabiting fungal richness and assemblages: is it a question of quantity or quality? Forest Ecology and Management 291: 377-385. The Fisher-Pitman permutation test: an attractive alternative to the F test. Psychological Reports 90: 495-502. Multi-taxon and forest structure sampling for identification of indicators and monitoring of old-growth forest. Plant Biosystems 144: 160-170. Multi-scale analysis of alpine landscapes with different intensities of abandonment reveals similar spatial pattern changes: Implications for habitat conservation. Ecological Indicators 74: 147-159. 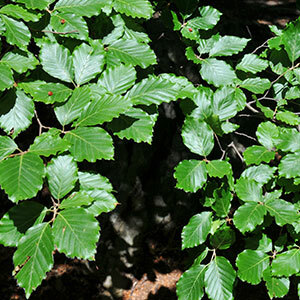 Structure, ecology and plant richness patterns in fragmented beech forests. Plant Ecology and Diversity 5: 541-551. Diversity in tropical rain forests and coral reefs - high diversity of trees and corals is maintained only in a non-equilibrium state. Science 199: 1302-1310. Don’t let spurious accusations of pseudoreplication limit our ability to learn from natural experiments (and other messy kinds of ecological monitoring). Ecology and Evolution 5: 5295-5304. Epiphytic lichen biomass in managed and old-growth boreal forests: Effect of branch quality. Ecological Applications 6: 228-238. Conserving organisms over large regions requires multi-taxa indicators: one taxon’s diversity-vacant area is another taxon’s diversity zone. Biological Conservation 144: 1690-1701. Reviewing the strength of evidence of biodiversity indicators for forest ecosystems in Europe. Ecological Indicators 57: 420-434. Effects of forest composition and structure on bird species richness in a Mediterranean context: implications for forest ecosystem management. Forest Ecology and Management 242: 470-476. Evaluating and interpreting cross-taxon congruence: potential pitfalls and solutions. Acta Oecologica 37: 187-194. Habitat management alternatives for conservation forests in the temperate zone: review, synthesis, and implications. Forest Ecology and Management 306: 292-307. Natura 2000 habitats map, forest types and vegetation outline of Val Tovanella Nature Reserve. In: “Research on the natural heritage of the reserves Vincheto di Celarda and Val Tovanella (Belluno province, Italy). Conservation of two protected areas in the context of a LIFE Project” (Hardersen S, Mason F, Viola F, Campedel D, Lasen C, Cassol M eds). Arti Grafiche Fiorini, Verona, Italy, pp. 325-334. Biodiversity inventories, indicator taxa and effects of habitat modification in tropical forest. Nature 391: 72-76. The effectiveness of surrogate taxa for the representation of biodiversity. Conservation Biology 24: 1367-1377. The forest biodiversity artery: towards forest management for saproxylic conservation. iForest 9: 205-216. Contrasting responses of epiphytic and dead wood-dwelling lichen diversity to forest management abandonment in silver fir mature woodlands. Forest Ecology and Management 289: 325-332. A multi-taxon approach reveals the effect of management intensity on biodiversity in Alpine larch grasslands. Science of The Total Environment 487: 110-116. The Fisher-Pitman permutation test when testing for differences in mean and variance. Psychological Reports 94 (1): 189-194. A second checklist of the lichens of Italy with a thesaurus of synonyms. Monografia Museo Regionale di Scienze Naturali di Saint-Pierre, Val d’Aosta, Italy, vol. 4, pp. 192. Dead wood in semi-natural temperate broadleaved woodland: contribution of coarse and fine dead wood, attached dead wood and stumps. Forest Ecology and Management 194: 235-248. Checklist of the macromycetes of Val Tovanella Nature Reserve. In: “Research on the natural heritage of the reserves Vincheto di Celarda and Val Tovanella (Belluno province, Italy). Conservation of two protected areas in the context of a LIFE Project” (Hardersen S, Mason F, Viola F, Campedel D, Lasen C, Cassol M eds). Arti Grafiche Fiorini, Verona, Italy, pp. 363-376. Biodiversity differences between managed and unmanaged forests: meta-analysis of species richness in Europe. Conservation Biology 24: 101-112. Compromises in data selection in a meta-analysis of biodiversity in managed and unmanaged forests: response to Halme et al. Conservation Biology 24: 1157-1160. Stand structure and deadwood amount influences saproxylic fungal biodiversity in Mediterranean mountain unmanaged forests. iForest 9: 115-124. Interactions between society and forest ecosystems: challenges for the near future. Forest Ecology and Management 132: 21-28. One taxon does not fit all: herb-layer diversity and stand structural complexity are weak predictors of biodiversity in Fagus sylvatica forests. Ecological Indicators 69: 126-137. Dead wood and stand structure - relationships for forest plots across Europe. iForest 7: 269-281. Stand structure and plant species diversity in managed and abandoned silver fir mature woodlands. Forest Ecology and Management 270: 232-238. Capturing cross-scalar variation of habitat selection with grid sampling: an example with hazel grouse (Tetrastes bonasia L.). European Journal of Wildlife Research 60: 177-186. Wildlife conservation through forestry abandonment: responses of beetle communities to habitat change in the Eastern Alps. European Journal of Forest Research 134: 511-524. Ecological risk and accessibility analysis to assess the impact of roads under Habitats Directive. Journal of Environmental Planning and Management 59: 2251-2271. Does forest management abandonment matter more than habitat characteristics for ground beetles? Biological Conservation 157: 215-224. Implementing a class of permutation tests: the coin package. Journal of Statistical Software 28: 1-23. “coin”: a computational framework for conditional inference. Web site. Species-richness correlations of six different taxa in Swedish seminatural grasslands. Conservation Biology 16: 430-439. Mapping forest ecosystem functions for landscape planning in a mountain Natura 2000 site, Central Italy. Journal of Environmental Planning and Management 58: 1454-1478.